Reflecting on a new season - nurture. 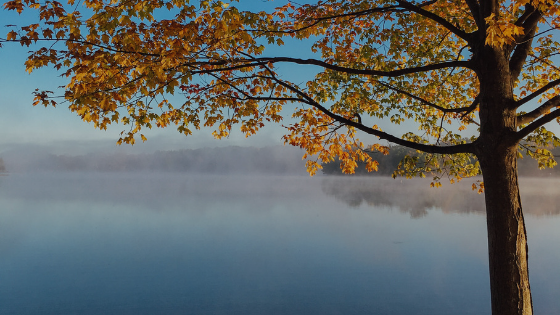 As leaves begin to fall and the holiday season approaches, my thoughts turn to what is essential and enduring. Fall is also one of the best times to establish a garden: when days become shorter, plants turn their energy from the outward production of leaves and fruit to the inner work of growing roots. Perennials planted during this season have an advantage when spring returns. 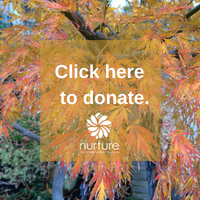 This October marks five years since Nurture launched our first programming. Within the last year we won our first major grant, are one year into a three year strategic plan, and most of our founding board members rolled off the board. With the convergence of all these touchpoints, it feels like an appropriate time to reflect on where we’ve been and where we’re headed. We invite you to get cozy, pull up a chair, and help us prepare for a new season of growth. Nurture’s founding board grew out of a passionate group of mothers and perinatal health professionals who saw a need for more equitable access to perinatal health resources in Richmond. Our original goal was to create a place-based hub to provide essential programming for pregnant and postpartum families from various income levels and backgrounds, while also serving as a connector to existing resources in the community. A scrappy and resourceful bunch, we made a conscious choice to focus on the community engagement pillar of our mission as we built our infrastructure, as that did not require a dedicated space. Over the last five years we have provided groundbreaking training for care providers who come into contact with pregnant and postpartum families in perinatal loss, childbirth trauma, and breastfeeding, while building an extensive web of relationships that includes local stakeholders from diverse sectors of our community, as well as state and national organizations. We also provided donation based prenatal and postnatal yoga classes to families at all income levels, until we put this program on hiatus in March as part of a strategic initiative to trim back in order to focus on capacity building. Until June of this year, I held a separate half-time position coordinating a local breastfeeding coalition, #RVAbreastfeeds, which has begun to receive national attention for its work. In July, Nurture received a $60k grant from the Virginia Foundation for Healthy Youth (VFHY) to continue #RVAbreastfeeds’ work. This strategic move to nonprofit oversight allows more efficiency and flexibility in carrying out the coalition’s objectives. At the beginning of August, #RVAbreastfeeds hosted Breastfeeding Matters, a public awareness campaign that reached over 100,000 people and received significant media attention. At the end of August we co-hosted Richmond’s first Black Breastfeeding Week RVA with a grass-roots planning team, an effort that resulted in Richmond’s Mayor issuing a Proclamation designating August 25 – 31, 2019 as Black Breastfeeding Week RVA and issuing a call to city hospitals, businesses, agencies, and coalitions to work together to provide equitable resources and support for all mothers and infants, especially RVA’s most historically vulnerable populations. With the support of the VFHY grant, in September we hired two part-time lactation support providers to help guide our work with partner agencies to pilot peer breastfeeding support programming for African-American families under the age of 25. As community members and partner agencies reach out to us, we find ourselves taking on more advocacy and systems change activities under the community engagement pillar of our mission. And as the last of our founding board members roll off after years of outstanding service, we are actively recruiting new board members who will guide the next phase of our journey, with a focus on living into our commitment to diversity and equity in all aspects of our organization. This year has been one of trimming back in order to focus on building capacity – a necessary but sometimes painful process. But already we are seeing the positive results, as we prepare for a new season of growth. Today we are launching a fall fundraising drive with the goal of reaching $2500 during the month of October. As we are growing our organization we ask that you, too, join us in expanding and strengthening our roots. Your kind donation in any amount will help us establish the deep roots needed to support RVA’s newest families and citizens.